Bronx Embossing Machines were recently dispatched to three separate customers. The recent dispatch of a third embossing machine marks the continuing success of the latest product range from Bronx Engineering Limited. 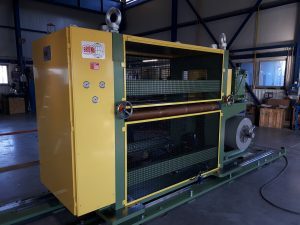 The latest machine supplied to a major OEM is destined for a large scale established coil processor, located in Mexico. It will be installed as part of a new coating line installation. 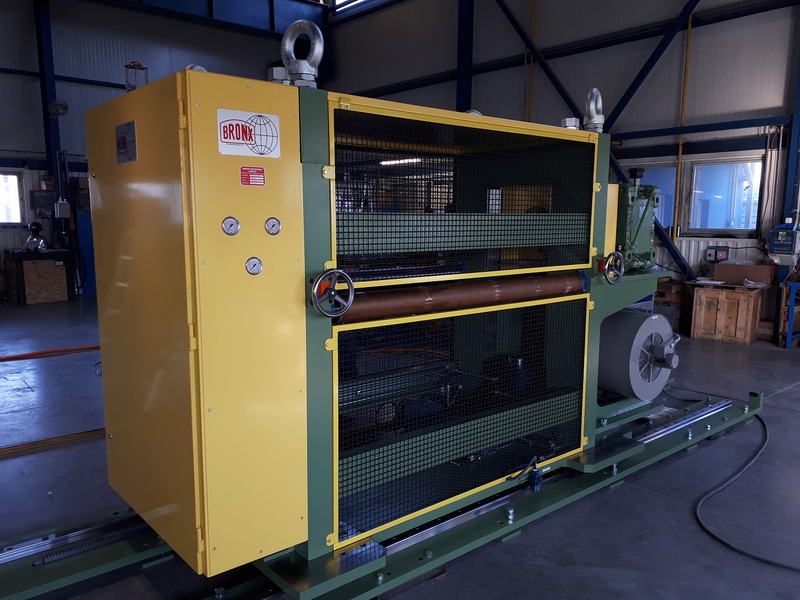 With a 190-ton capacity, the machine was designed to emboss steel at speeds up to 150 m/min and has been supplied with one pair of matched engraved rolls to produce a leather grain pattern. Notable features of the machine include a roll in / out of line function, a modern touchscreen HMI and proportional pressure control to enable remote adjustment of the embossing process. The preceding machine is, by coincidence, also destined for a different 150 m/min coil coating line in Mexico. This machine has a capacity of 220 tons and was also designed for embossing steel. In this instance two sets of matched engraved rolls for leather grain and stucco patterns were supplied. The first of the three machines delivered is now successfully in production as part of a dedicated embossing line located in the USA. It is a 50 ton capacity machine with a self-contained hydraulic system and on board operator controls. It was supplied with one set of matched engraved rolls to apply stucco pattern to steel. Unlike the embossing carried out on plastisols, the base metal is embossed completely. (The metal is actually deformed). The purpose of this embossing is less about visual appearance and is more about increasing the strength and stiffness of the base metal, such that lighter gauge material can be used. The most frequent pattern used for metal embossing is a stucco pattern which in addition to adding strength and stiffness reduces reflectivity. Other patterns like diamonds or leathergrain are also used.